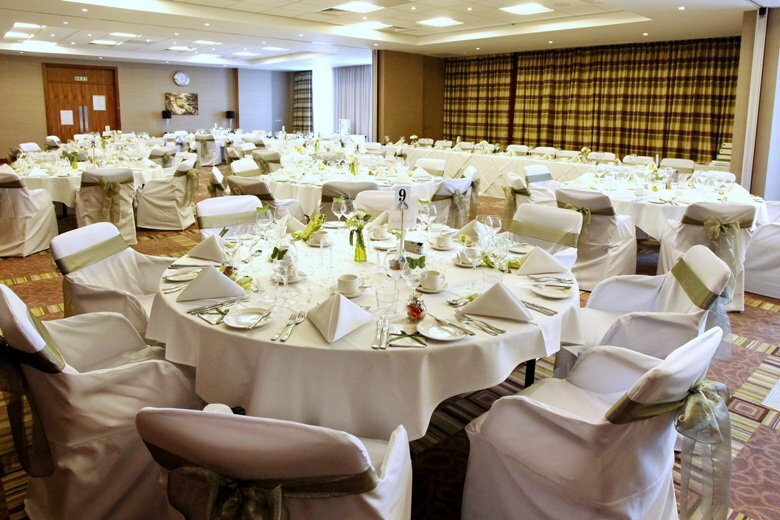 Our beautiful hotel is the perfect venue for your wedding and reception; located close to Reading we have a number of suites to hold up to 240 guests. To make your wedding as stress free as possible we have two wedding packages, each of our packages comes with a dedicated wedding coordinator. Your dedicated wedding coordinator will guide you through the planning process and make sure you have everything you need, from organising table favours, place names and much more. Our flexibility, experience, attention to detail and superb facilities will guarantee you a successful day. To finish off your beautiful wedding we can provide special accommodation rates for you and your guests who wish to stay overnight. Guests can then explore the sights of Reading whilst they are in the area. Alongside this, we can also assist you with celebrations ranging from anniversaries and birthdays, to christenings and graduation celebrations. The Bride and Groom will also enjoy a number of complimentary benefits. You’ll be invited to stay in one of our lovely Suites on the night and enjoy a complimentary Full Buffet Breakfast or a romantic Breakfast in Bed, the choice is yours. For more information on our Wedding Venue in Reading or to speak to our Dedicated Conference & Events Team, please call 0118 944 4230 or email events1@hireadinghotel.com and they will be happy to help.